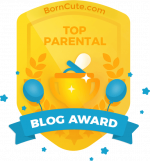 You are here: Home / Breastfeeding / Can I Donate a Used Breast Pump? Can I Donate a Used Breast Pump? Now that my second baby is about to turn one I doubt I will be using my double electric pump much in the future. I have no interest in weaning anytime soon but I doubt the need to pump will arise much. If it does I always have my manual pump. I love my trusty Ameda double electric pump. It has lasted through two children, but now that I am probably finished pumping I started wondering what to do with it. Can I donate a used breast pump? Is there a way to recycle it? Personal use breast pumps cost a lot of money and it seems crazy to just toss it. I am lucky I got two babies out of mine but it would still be nice to find a way to donate or recycle it. Most breast pump manufacturers sell their pumps as single user and for personal use only. This means that when you are done with your pump it should be disposed of and not given to another user. The exception to this seems to be Hygeia. When it comes to recycling breast pumps, Hygeia seems to lead the way. If you are very environmentally conscious this may be a reason to choose them over other manufacturers. UPDATE: At the time I wrote this Hygeia was the only breast pump manufacturer with a recycling program but Medela has just announced that it will have a recycling program for 2015. Hygeia pumps come with a one year limited warranty. When you are done with your pump Hygeia recommends donating it to someone else to use or selling it. Whoever takes the pump will need to purchase her own personal accessory set so that the pump is hygienic to use. If you do not have someone to give your pump to you can fill out a form, available on their website, and send it back to them. They will then reuse the pump is some way. That may be refurbishing it and providing to women in need or recycling the parts appropriately. I think it’s pretty awesome that they do all this and feel responsible for making sure that their pumps do not end up in landfills. This does seem to be a first for a breast pump manufacturer. Ameda does not have an official policy on recycling or reusing their breast pumps that I could find. It’s a little confusing. 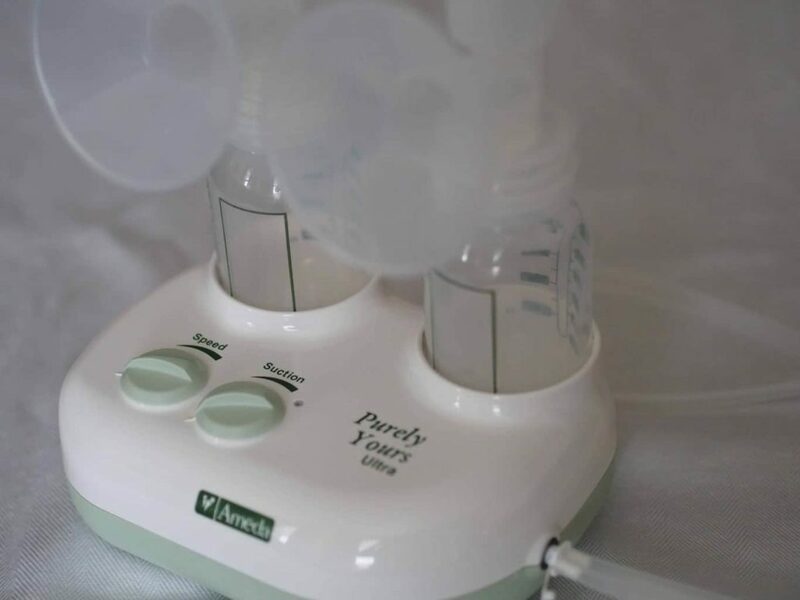 On their website they state that their personal breast pumps are single user, but Ameda does feature a closed system pump which means it should be safe for multiple users compared to an open system pump. Since their pumps use a closed system your milk should be protected from bacteria and mold and expressed milk does not get into the tubing. When a new HygieniKit milk collection system is used with a personal pump it should be safe for another user. I would feel fine donating an Ameda pump to another user as long as they knew it was used and had a new HygieniKit. Medela is an open system pump. Therefore, it is not safe to share with other users and it is not recommended to be reused. I know some people feel fine sterilizing and buying new parts for a Medela but I personally would not feel right selling or donating one. Medela makes it clear on their site that their personal use pumps are a personal item that should be treated as single user. They compare it to a toothbrush as a personal use item that you would not share. They also point out the Medela Pump In Style Advanced has an internal diaphragm that cannot be removed or sterilized so the risk of contamination is there even if you buy a new kit or tubing. UPDATE: Medela has just announced a new program, called medela recycles, to recycle used breast pumps for 2015. You can read more about it here. Looks like you can now fill out a form on their website and send your pump in. The recycled parts will be used to help fund donations of hospital grade pumps to Ronald McDonald house. Most pump manufacturers have pointed out that personal user electric pumps have a limited life span. They may work beyond one child and for your second or more (as is the case with my Ameda) but the motors do wear out and die eventually. I know I personally would feel pretty horrible if I donated or sold my pump and then the mother experienced milk supply issues due to a weaker than normal breast pump motor. In the case of the open system pumps, milk can get into the motor. So even if you replace the tubing and sterilize it the motor could be contaminated and it is not safe. If having a recyclable pump is important to you then you may want to consider the Hygeia pump. 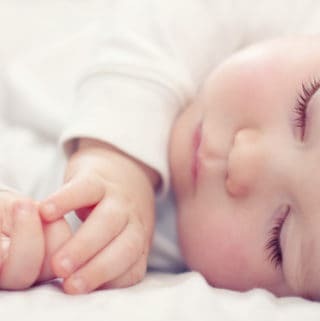 If you are still deciding on a pump and this is a concern for you then you may want to look into renting a breast pump. Medela and Ameda both have hospital grade pumps that are closed system, multiuser and are available to rent. So what can I do with my pump? Call the pump manufacturer and ask what they recommend. While the information above should be accurate things can change quickly and there are other brands out there that may have different policies. Since Hygeia and Medela now offer recycling programs other manufacturers may follow suit shortly. Call your local recycling center and ask if you can recycle your pump. Find an electronics recycling center and see if they will take it. If your pump is a closed system and you are not concerned about the motor wearing down then you can donate it to someone or sell it. Make sure to buy new hygiene kits and tubing. Some women are okay with buying or taking an open system pump with new tubing and sterilizing. There are risks and it cannot be guaranteed. You can try selling it or giving it away but it is not recommended. Check with local women’s groups or shelters. It seems from my research that most do not take used breast pumps because of the concerns associated with them but some might. 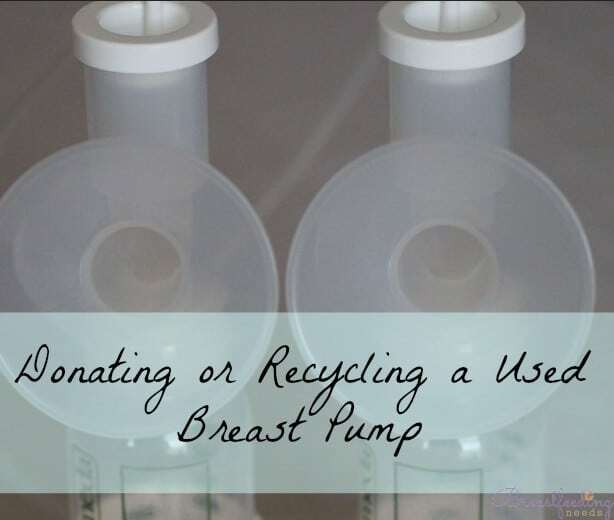 There is no simple or easy answer for donating or recycling a used breast pump. You will need to make the best decision based on the kind of pump you have, the age of the pump, and if the pump manufacturer offers a recycling program (currently Hygiea and Medela). In my case, I think I will hold onto my pump a little longer just in case. When I am ready to get rid of it I will see if I can recycle parts of my pump and toss the rest. Since it’s been through two babies I’m concerned about how much life is left in the motor and would hate to be the cause of milk supply issues due to a weak motor. It’s just not worth the risk in my opinion. Please let me know if you have any questions about donating or recycling breast pumps. Thanks! Update August 2017 – A company called Breast Pumps Direct offers a donation program for breast pumps which allows you to trade in a pump and receive credit towards a new one. You can learn more at my full post on it.